Bed and Breakfast at MellonPatch: Comfortable, friendly and affordable lodgings / accomodation in Scotland at the heart of beautiful Strathspey country! 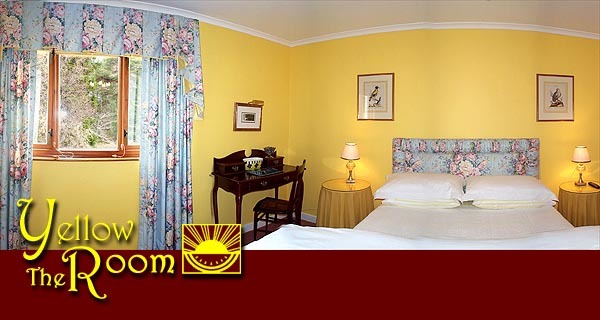 Of our three rooms the YellowRoom is our largest and grandest. With a view onto our garden you can hear the water gurgling in the pond below.